Video game company CD Projekt Red has released a new action/RPG game called The Witcher 3: Wild Hunt. When talking about the influence of the game, Marcin Iwiński, CEO and co-founder of CDPR explains in an interview with Mashable,"For me, whenever I think about The Witcher, I think about Game of Thrones, the themes are a bit similar, the tone of the story is similar, and the motivations of our characters is similar. It's the real world dressed up in a fantasy setting, with contemporary problems." 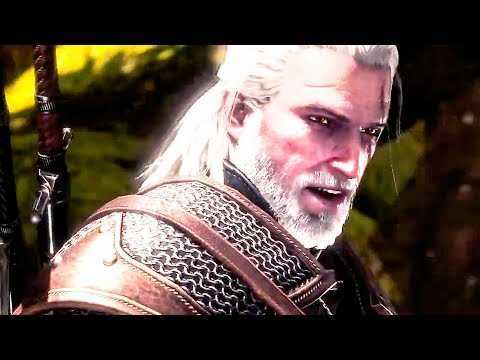 New VGX 2013 trailer for The Witcher 3 Wild Hunt. ➥ Join us on Facebook : http://facebook.com/GameNewsOfficial. ➥ Subscribe Now : http://bit.ly/19QgVXH ! The Witcher 3 Wild Hunt Trailer (2014). Release date : 2014 for PS4, Xbox One and PC. Subscribe now to get the latest game trailer, gameplay teaser & cinematic video, videogame walkthrough and ingame videos with Game News Official (GameNews) ! Check out the first teaser trailer for The Witcher 3 Wild Hunt ! Join us on Facebook http://FB.com/GameNewsOfficial & Twitter http://twitter.com/gamenewstrailer. The Witcher 3 Wild Hunt Official Teaser Trailer. Release date : 2013 - 2014 for PC. Subscribe now to get the latest game teasers, gameplay trailers, videogame walkthrough and ingame videos !